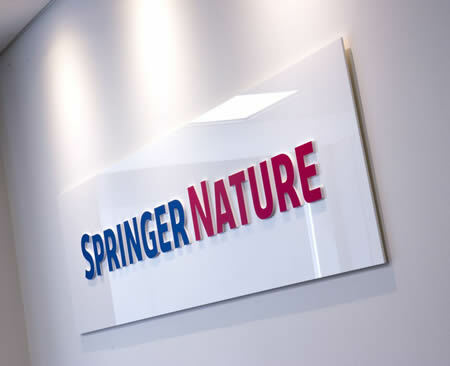 Looks as if another western publishing house, Springer Nature, is appeasing the Chinese regime by effectively censoring sensitive issues such as Tibet, Falun Gong, the so-called Cultural Revolution and human rights from its journal platform.It is also reported to be blocking academic articles that may offend dictator Xi Jinping and his cronies. At the same time as applying such censorship we gather the publisher is seeking the english rights to ‘Xi Jinping Tells A Story’ a hagiography of the Chinese meglomaniac. Cambridge University has a tradition of accommodating the Chinese regime, we need only to recall a willingness of Trinity College to host in 2013 prominent members of China’s Ministry of Public Security. On the condition from conference organizers that no mention of human rights or issues such as Tibet were permitted! 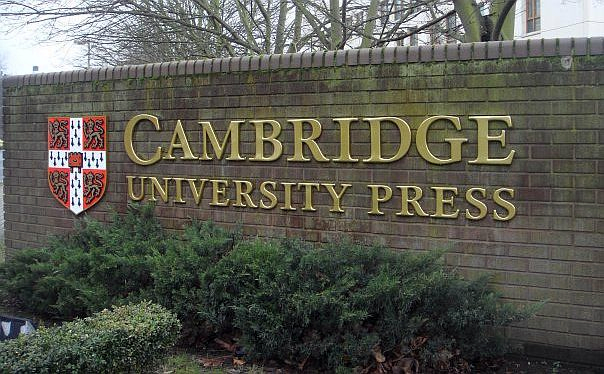 Now the University is embroiled in another China-linked controversy, as Cambridge University Press (CUP) has conformed to a demand from the Chinese authorities to block online access to journals and other data. Unsurprisingly the subject areas targeted for such censorship include Tiananmen, the so-called Cultural Revolution, Tibet, East Turkistan, Hong Kong, and Taiwan. Such a response has a worrying similarity to comments drafted by the British equivalent of the State Department, which also masks its appeasement of China with arguments of ‘constructive engagement’ and being a ‘force of moderation’. 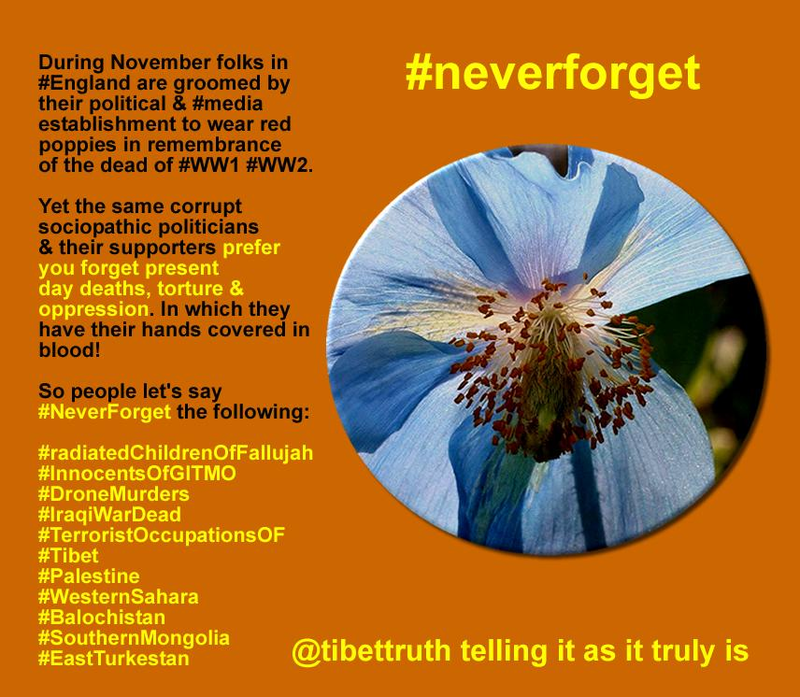 In truth however such change never materializes, the human rights atrocities continue, forced labor camps flourish, women forcibly sterilized, while Tibetans are brutally denied their cultural and national freedom. Cambridge University Press is hiding behind the same self-serving justification, yet in doing so it is in contradiction to the values of human rights and freedom of thought it claims to champion. Really? From where most reasonable and intelligent folks are standing CPU looks to be in an indefensible position. Being actively complicit in censorship on the inane suggestion that at some undetermined future point its engagement with China’s regime can realize ‘progress’. Meanwhile blood-stained cash from China continues to fund the world of academia and Cambridge University no doubt benefits from its more than cordial relations with the Chinese authorities and numerous companies and institutions! What Action Have These Swiss Parliamentarians Taken To Oppose Their Government’s Armed Suppression of Peaceful Tibetan Protests? As these Swiss Parliamentarians would agree, meeting with the Dalai Lama is indeed an honor and privilege, yet we wonder if they would also concur that as friends of the Tibetan people and their cause for national freedom, they’ve a moral obligation to show solidarity with Tibetans, especially when their rights are being oppressed and denied. With that in mind we ask what action these politicians took in expressing their opposition to the censorship and repression which peaceful Tibetan protesters suffered at the hands of the Swiss Authorities during the recent visit to Switzerland by China’s Xi Jinping? Not only where they victims of excessive and inappropriate policing, but had Tibetan flags and banners calling for Tibet’s independence torn from them by aggressive policemen. Did these Parliamentarians take action on this issue? As we reported at the time, during the same visit, in the city of Bern armed snipers trained high velocity rifles at non-violent Tibetan demonstrators, revealing a willingness by the authorities to resort to the shooting of unarmed civilians! This ‘security’ response was demanded and authorized by the national, regional and local governments of Switzerland, a fact which we exposed and challenged, highlighting the role of Mr Reto Nause, Director of Security for Bern. We issued an open letter to Mr Nause and the Swiss Government, unfortunately he refused to respond! We also wrote a detailed account of these events and our concerns which was sent to virtually all Swiss Parliamentarians, requesting their support in raising such issues with their Government, only one individual had the courtesy to reply! 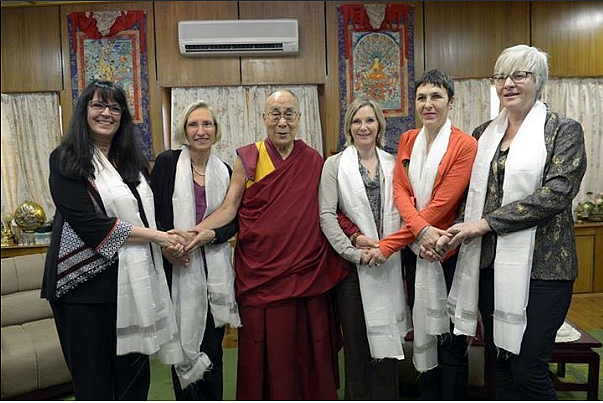 While it must have been a wonderful occasion to meet with His Holiness, and come away with a precious photo to add to the family album, in light of the serious abuse of human rights and civil freedoms which were forced upon Tibetans in Switzerland , Maya Gref, MP, Green Party, Rosmarie Quadranti, MP, Civil Democratic Party, Marianne Streiff, MP, EPP, Prisca Birrer Heimo, MP, Social Democratic Party, Barbara Gysi, MP, SP and SG, Gina Ruetschi MP should be taking determined and forceful action in bringing their Government to task! India’s Appeasement Of China Now Banning Media Reportage! Is this truth too hot for Twitter? How can updating interested followers be regarded as spam? Many female activists today celebrate International Women’s Day and may be arranging last minute travel arrangements to attend the United Nations’ Commission On The Status Of Women’s meeting (CSW59) beginning March 9. Meanwhile in a world far away from the chrome and tinted glass gatherings scheduled to reflect on two decades since the Beijing Declaration was agreed; which in theory secured and advanced women’s human rights, in occupied Tibet and indeed China itself women continue to be subject to a range of disturbing human rights atrocities. 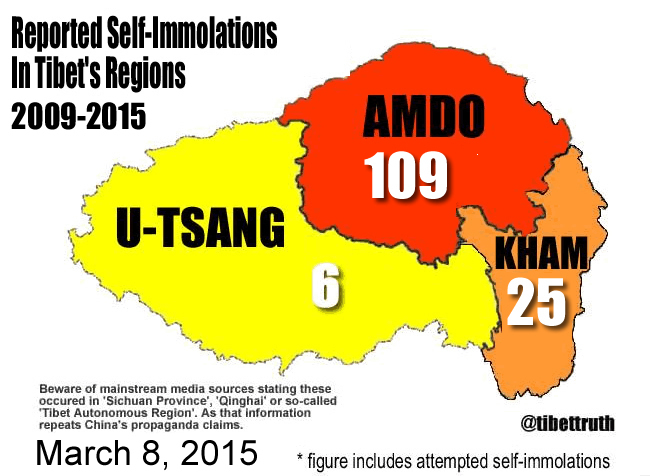 On Friday March 6, in the Ngaba area of Amdo region of occupied Tibet, a 40 year-old woman, named as Norchuk died following her self-immolation protest against the illegal and violent occupation by China of her homeland. 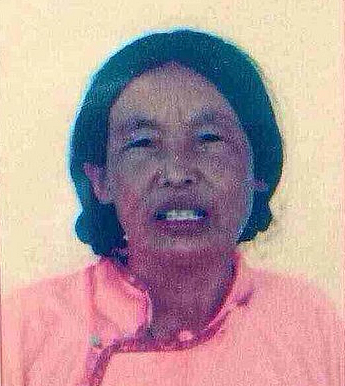 Her body was confiscated by Chinese paramilitary and hastily cremated, denying her relatives any chance to conduct traditional Buddhist ritual. Her sacrifice and the oppressed condition of women inside Tibet though is absent from the Twitter streams on the subject of International Women’s Day and CSW59, you will find virtually no mention of the suffering relating to Tibetan women. Nor indeed reference to China’s forced sterilizations, a gross violation of women’s human rights that has been greeted by evasion, silence and denial from the mass ranks of the ‘Concerned Sisterhood’. The same day that Norchuk offered up her life a team of Chinese security police raided the Beijing home of activist Ms Li Tingting and arrested her. Yet a deafening silence seems to have greeted news that she and three other Chinese female activists, who were planning to hold a peaceful protest in Beijing against sexual harassment, have been jailed, their whereabouts presently unknown and facing possibly disturbing consequences. http://www.livenewspak.com/china-detains-at-least-4-feminists-ahead-of-international-womens-day/ Despite this latest example of state oppression against women by China’s regime instead of outrage and opposition from those attending the CSW59 we witness a callous indifference. Will anyone attending the CSW59 meeting raise a word in protest or concern about such injustice? Can we hope that the tyranny, inequality and marginalization suffered by Tibetan women since China invaded Tibet in 1950 will be condemned? 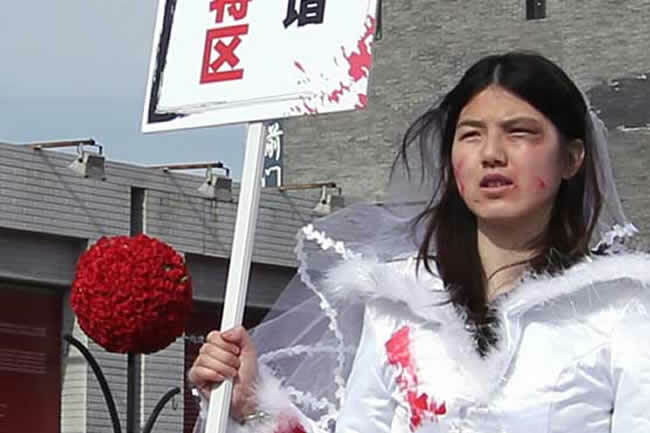 Is it likely that women’s NGOs will be speaking out against China’s vicious policy of population control, in which women are brutally denied the most basic of rights and forcibly sterilized? What words of opposition will be made against the censorship, and torture that targets any women who express the slightest dissent against the grim excesses of the Chinese regime? Women do not enjoy human rights under the totalitarian nightmare enforced by the Chinese regime, there exists only fear, pain, repression, censorship, you comply to the dictates of the state or suffer the consequences. That their plight is consistently ignored, denied and evaded by women NGO’s and the United Nations, makes a mockery of any claim that such bodies are dedicated to championing women’s human rights.